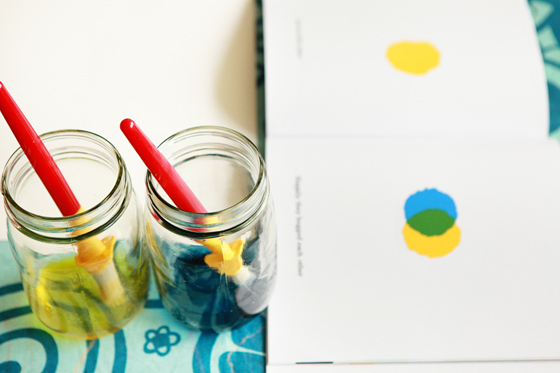 A friend of ours gave Avery a copy of Leo Lionni's Little Blue and Little Yellow. One day, I pulled out some Arches paper that I had stashed away from a bookbinding class I took in college and Avery got to do some watercolor based on Little Blue and Little Yellow. We read the book and then Avery got to paint with the colors blue and yellow, mixing them and overlapping them on the paper. We used Glob paints (our first time using them). 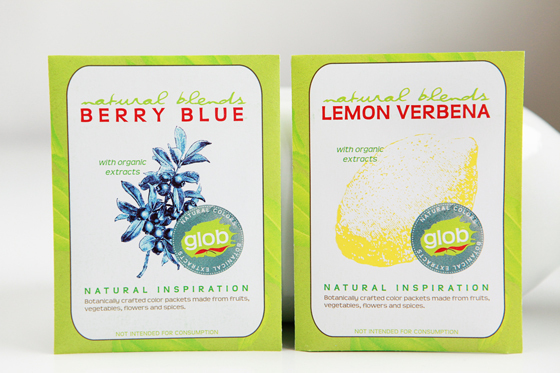 Glob's natural paints are made from fruits, vegetables, plants, flowers and spices, such as blueberry and lemon verbena. The paints come in powder form and I like that you can make different consistencies based on how much water you add. 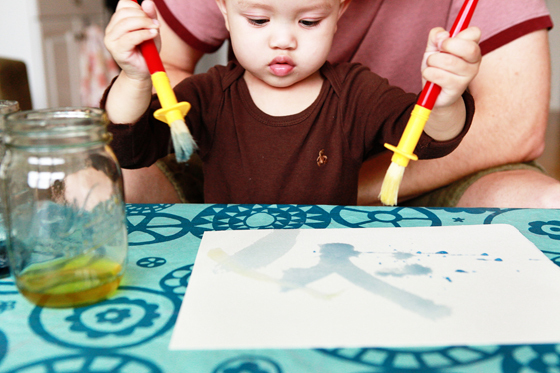 Avery loves painting and I can't wait for our next storybook-based art experience!